The BJP ruling alliance is not ready to replace the present ailing Goa chief minister Manohar Parrikar as the party legislators could not reach the consensus. The legislators sought a ‘temporary’ solution whereas alliance partners want a permanent solution to the present quagmire. This was revealed by the leaders familiar with the developments on Sunday night. 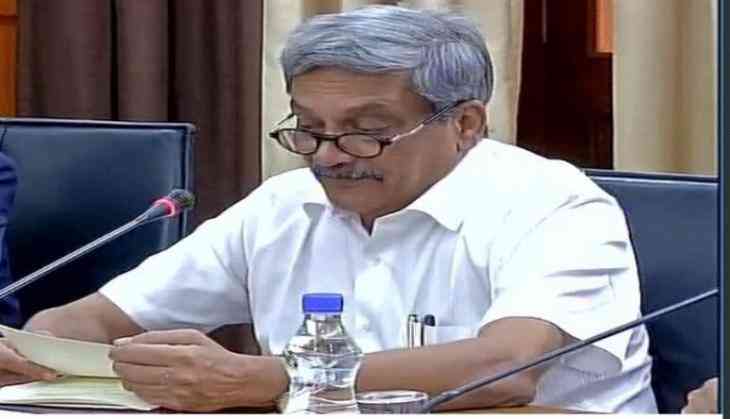 Despite leaders are expressing different voices, yet they are one on the point that Parrikar will continue to be the chief minister’s post and other 52 portfolios would be reconfigured. BJP legislator Nilesh Cabral was quoted by the Hindustan Times as saying “Manohar Parrikar is our leader and for as long as he is around, we cannot have a new leader. But we have agreed that the administration needs to move forward. If someone can be temporarily made deputy CM (among the BJP) so that administration functions, I think this is a good solution”. However, Vijai Sardesai, Goa Forward Party leader, alliance partner of the BJP, said that they are putting pressure on the BJP for a permanent solution to the issue. He met the central BJP leaders with a delegation of six legislators. Sardesai said “Manohar Parrikar is our leader and for as long as he is around, we cannot have a new leader. But we have agreed that the administration needs to move forward. If someone can be temporarily made deputy CM (among the BJP) so that administration functions, I think this is a good solution”. MGP’s Sudin Dhavalikar said “Parrikar is our leader and will continue to be our leader. There are some problems Goa is facing that we would like resolved especially the mining issue that we would like to see restarted by November”.